Türkiye Yüksek İhtisas Eğitim ve Araştırma Hastanesi, Anestezi ve Reanimasyon Kliniği ANKARA Introduction: Spinal anesthesia is one of the most suitable anesthesia methods for coronary artery disease patients undergoing noncardiac surgery. Our aim was to compare the hemodynamic effects of isobaric levobupivacaine and heavy bupivacaine in patients over 65 years of age with or without coronary artery disease who were undergoing urological surgery with spinal anesthesia, and find the ideal agent for cardiac patients. Materials and Method: The study was planned as a prospective, randomized and doubleblind study. 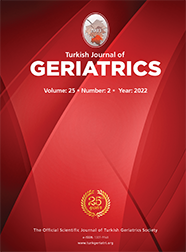 Sixty-two patients over 65 years of age with or without coronary artery disease who would undergo urological surgery were included. We used 3 mL bupivacaine 0.5% heavy (Group B) or 3 mL levobupivacaine 0.5% isobaric (Group L) for spinal anesthesia and compared the hemodynamic effects. Results: There were no significant differences between the two groups in demographic data, sensory block and motor block durations, and repeated blood pressure (systolic and diastolic) and heart rate measurements. We observed a significant decrease in the mean blood pressure values 25 minutes after injection in Group B and 15 minutes after injection in Group L. When we examined the changes in heart rate among the cardiac patients within the group, in Group L, the decrease in heart rate at the 5th and 10th minute was found significant. Regarding the changes in electrocardiography, ventricular extra-systole was more frequent in group L when compared to group B.